Includes One Buggie Rental for up to Two People for a One Hour Duration. 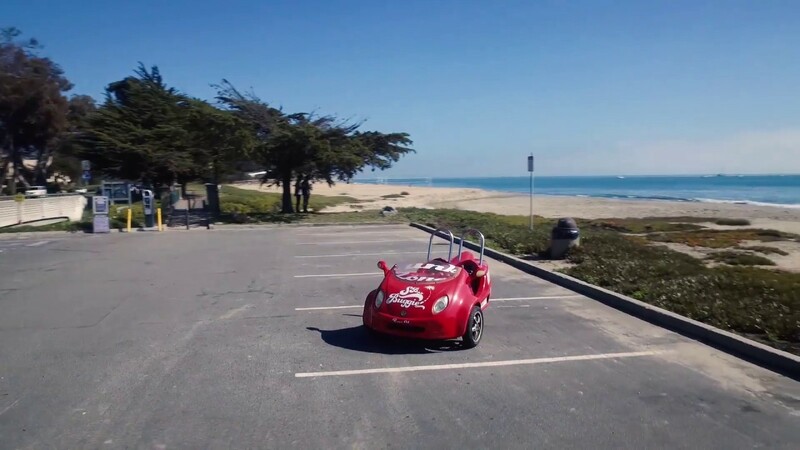 Our Buggies provide fun for everybody who wants an exciting, adventurous, and enjoyable way to explore Santa Barbara. Santa Barbara’s picturesque coastline and Mediterranean climate are perfect for seeing and discovering the town gems that this gorgeous city has to offer. Whether its getting into the mountains of Montecito, exploring under the overhanging oaks of Hope Ranch, or winding your way through America’s Riviera, we are sure your experience will be the best experience you can possibly have when you hop into our Buggies. Our kind and friendly staff will assist each of you individually based on what you want to experience. We provide all of our customers with a map and multiple routes for the best possible experience. BEST WAY TO SEE SANTA BARBARA, PERIOD! We had sooooooo much fun with these genius little buggies.